They were upfront and honest. It was an urgent situation, and we had to leave our house. They finished quickly. My mother uses them, and my wife had called them also. They really take their time on the job. They were a lot less expensive. All of the guys were very responsive. They gave us a lot of information and a lot of options. They even added a gas-line to the fireplace. All of the people they sent out for the job were outstanding. 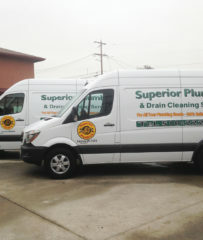 Superior Plumbing & Drain Cleaning Services provides a wide range of plumbing services for residential and commercial clients throughout the East Bay. 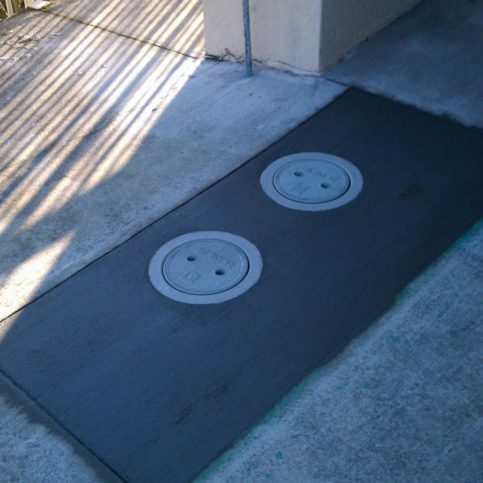 In addition to maintaining and repairing toilets, sinks, showers, and drains, the family-owned and operated company handles sewer line replacements, sewer and drain cleaning, hydrojetting, and more. Superior Plumbing & Drain Cleaning Services has been providing a wide variety of plumbing services for residential and commercial clients throughout the East Bay since 2002. In addition to maintaining and repairing toilets, sinks, showers and drains, the family-owned and operated company handles sewer line replacements, sewer and drain cleaning, hydrojetting, leak detection and more. It also offers 24-hour emergency services for the convenience of its customers. 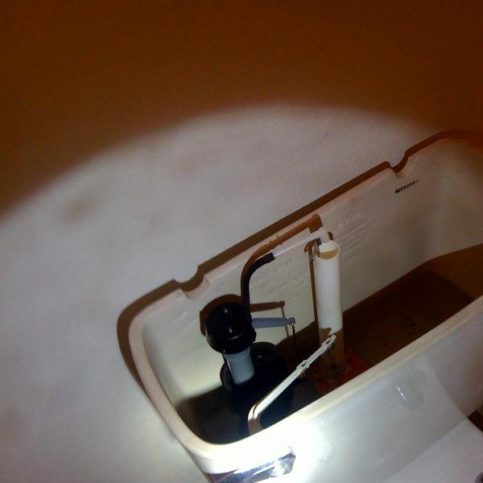 There are two methods for performing trenchless sewer replacements, and the one your plumbing contractor uses is entirely dependent on the condition of your existing sewer pipe. Pipes that are in decent condition can usually be relined, but if the damage is too extensive, a “pipe bursting” method must be used. This process entails coating the interior of the old sewer line with a flexible, PVC-infused liner that’s designed to seal all cracks, voids and bridge gaps. First, your plumber should clear the old line of roots, dirt and debris using high-pressure water equipment (a process known as hydrojetting). After the line is cleared, the new liner can be blown in using pressurized air. Once the liner is in place, a bladder is inserted and inflated with high-pressure steam until it molds to the interior of the pipe. 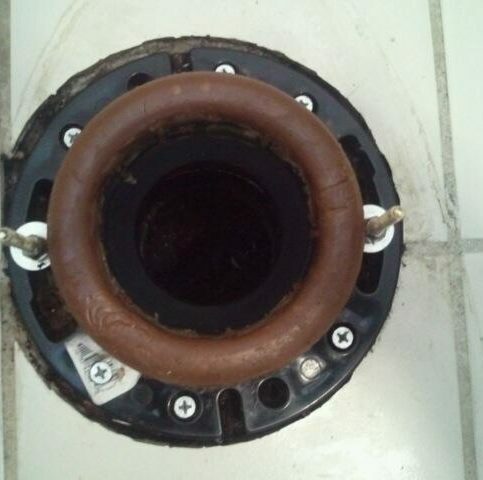 This essentially creates a new, ultra-strong pipe within the original pipe that’s resistant to future root intrusion, which is the leading cause of sewer line failures. 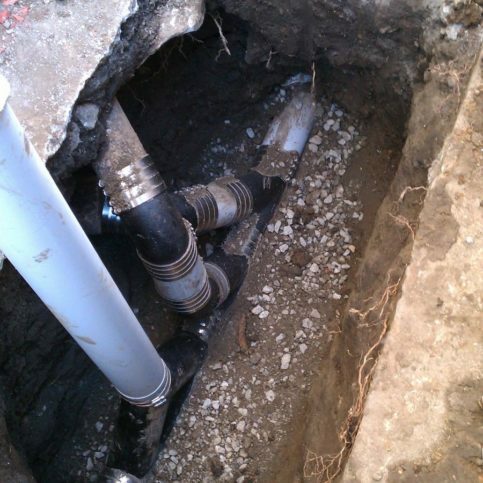 When CIPP relining isn’t an option because of extensive pipe damage, trenchless pipe bursting is the best choice. This process involves drilling an access point on either side of an old sewer line, feeding through a heavy cable that has a high-density polyethylene sewer pipe attached and essentially “bursting” the old pipe to make way for the new one. 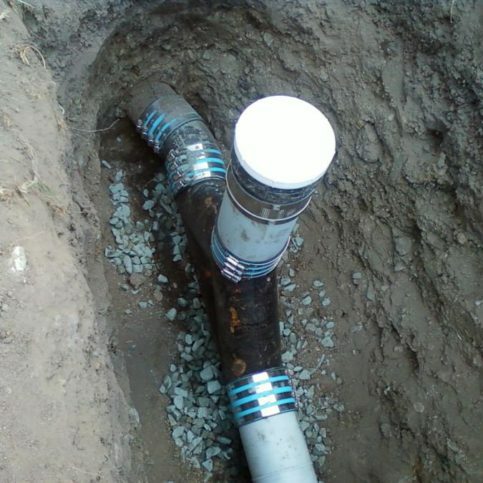 The new sewer line is seamless, flexible, resistant to root invasion, and completely air and water tight. A: No, we’ll quote you a flat rate for your specific job. A: Unfortunately, since we have to send a plumber to diagnose the exact problem, we have to charge for our estimates. For a flat fee of $49, we’ll provide you with a detailed estimate that includes all your options and the cost for each. Our technicians arrive in vans that are equipped with thousands of parts, so most problems can be handled right away without the need for a second service call. A: It varies with our workload for that particular day, but we aim to be at your location within two hours of your initial call. Q: Do you maintain a clean work environment? A: Absolutely. We never forget that we’re working in our customers’ homes and businesses, so we protect every surface, wear pads and booties, and leave work areas cleaner than when we arrived. A: Yes. If your plumbing job requires a building permit, we’ll take care of all the paperwork. 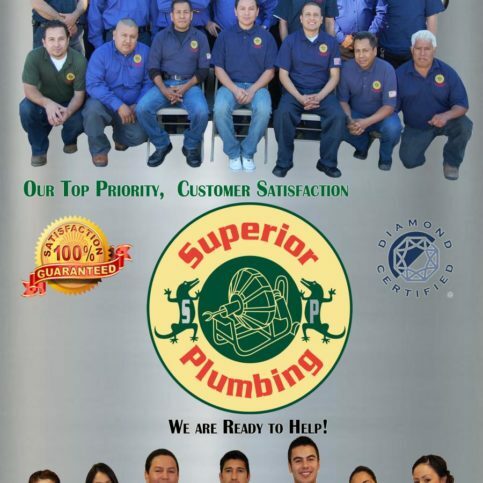 Ricardo Lopez is president of Superior Plumbing & Drain Cleaning Services, a Diamond Certified company since 2012. He can be reached at (925) 331-0363 or by email. A: CDs and digital music. A: I like all kinds, especially upbeat music because I’m a happy person. RICHMOND — If your home’s faucets, showerheads, and toilets are constantly dripping and running, it might be time to check your home’s water pressure. The recommended water pressure for residential homes is between 60 and 80 psi, so if yours reads above 80 psi, this may be the source of your problems. Water pressure issues are especially common in homes located on hills, where the altitude can result in pressure readings as high as 120 psi. 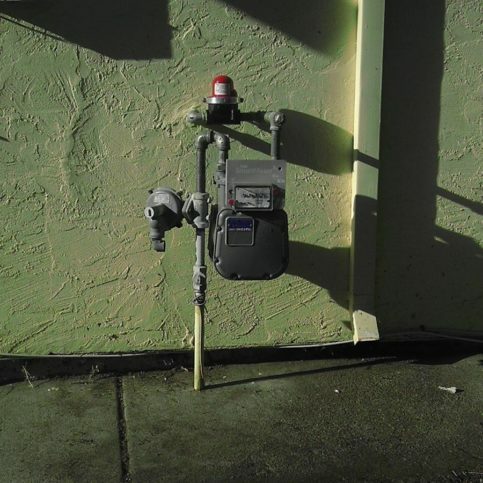 A simple solution to this issue is to install a water pressure regulator, which enables you to adjust your home’s pressure to a desired level and keep it there. If you don’t know your home’s current water pressure level, purchase a water pressure gauge from a hardware store. All you have to do is connect the gauge to an exterior hose bib and it will give you a reading, which will help you determine whether you should install a regulator. 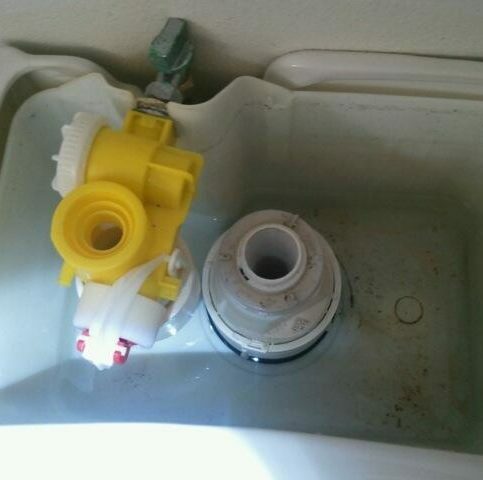 RICHMOND — Host, Sarah Rutan: If your home’s plumbing fixtures are constantly running or dripping, this may be the result of a water pressure issue. To learn more, we’re in Richmond with Vincent Esquivel of Superior Plumbing & Drain Cleaning Services, speaking on behalf of Diamond Certified Expert Contributor Ricardo Lopez. Vincent Esquivel: If you’re constantly having faucets that are dripping, and shower valves that are dripping, toilets that are constantly running, you may want to check the pressure in the front of your home. We recommend that the pressure be between 60 and 80 psi. If it’s over 80 psi, we recommend a pressure regulator to regulate that pressure right where it needs to be, so that you can have faucets that are working correctly, showers that aren’t dripping. A pressure regulator is something that regulates the water. You can adjust the pressure to keep it, you know, right where you need it, between 60 and 80 psi. A lot of times, people live on hills. The Water Department pumps that water up the hill, and you end up with extremely high pressure. 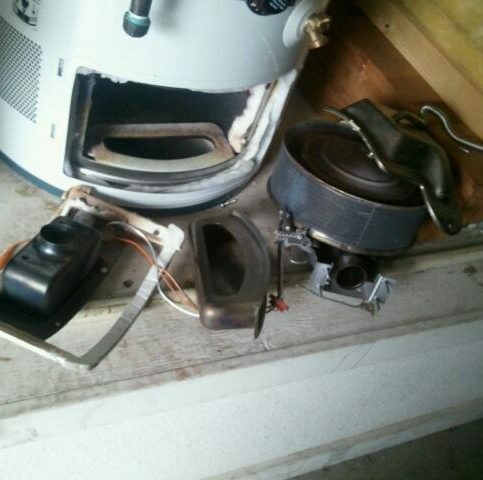 It could be 100 psi, it could be 120. 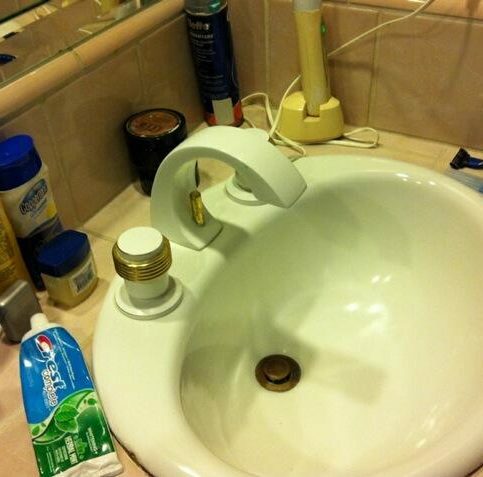 A regulator’s going to lower that water pressure – put you right where you need to be. 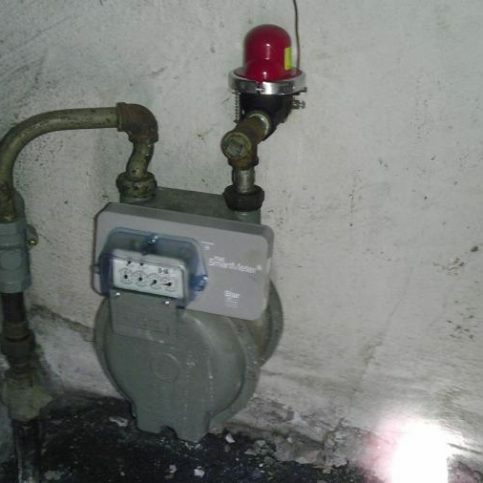 It’s usually located in front of the home, right where the main shut-off valve is, coming into the house. So, you may want to look to see if you have one. Sometimes they need adjustment. But if you don’t have one, I highly recommend that you install a regulator. Have one installed and you can also purchase a gauge and hook it up to the hose bib, where the garden hose goes. Once you put the gauge there, it’ll tell you exactly what kind of pressure you have, and then you can take it from there whether you need a pressure regulator or not. 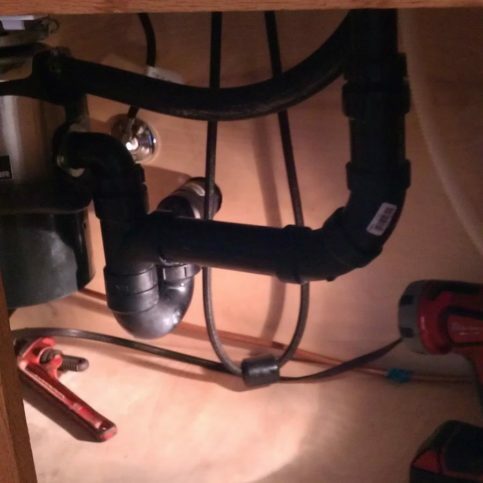 Superior Plumbing & Drain Cleaning Services : Average 9.0 out of 10 based on 244 unique customer surveys of customer satisfaction. I have recommended them to several other people. Their customer service was good. I recommend the service to other people all of the time. Great company, we use them all of the time. They are a proficient company. They showed up when they said, within a few hours of my call. We had a good experience. They are reliable. They came out when they said. They were easy to get along with. I thought they were very professional. Nothing that I can think of. They came and got the job done. Reliable, I have used them for several of my properties. I felt like they gave us a good price and did good work. We haven't had any problems since. They did things correct the first time. They run a good plumbing business. They care about the customer. We will be keeping them in mind for the next time that we need some work done. They were on time, very friendly, and cared about how we felt about the visual of the repair. They are always ready to come out. I also liked their hours. Use them. They were good.